Important Note: Veteran's Bridge runs over Maclellan Island, not down to it. All access is by water only. Maclellan Island is a unique, 18.8-acre, wildlife sanctuary, situated in the middle of the Tennessee River, in the heart of downtown Chattanooga. The island is home to a great diversity of plants, animals, and birds. Muskrats, Geese, and Kingfishers can be seen feeding at the water’s edge, while the forest is home to Songbirds, Turkeys, Raccoons, Owls, Possums, Fox, Woodpeckers, and more. Maclellan Island is also a great place to quietly watch nesting Osprey and Great-blue Heron as well as an important feeding area for migrating warblers. What To Expect There are no offices or permanent staff on the island. There are toilets available on Maclellan Island in the picnic area, but no water or electricity. Long pants and close-toed shoes are recommended due to the presence of poison ivy on the island. Please check weather conditions before visiting and dress accordingly. Maclellan Island is maintained as a primitive urban wilderness: know your limitations and go prepared. In event of emergency contact 911. A Rich History Maclellan Island’s earliest inhabitants were Native Americans whose island community was likely an extension or suburb of Citico, a nearby village. Farmed in the 1800’s and early 1900’s, the island was plowed for many years and largely free of the trees which shade it today. Floods have covered the island from time to time and drove away numerous early settlers including one early farmer, Abel Kesterson, who survived rising waters in 1867 only by holding onto the horns of his cow as they swam to safety. The island eventually passed through the hands of several prominent companies as well as a number of more rambunctious inhabitants. 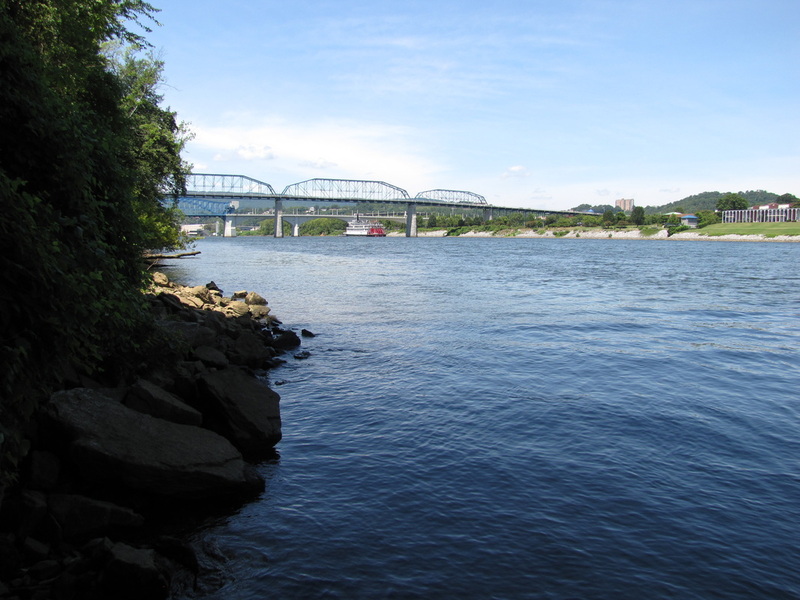 Finally in 1954 Maclellan Island was donated to the Chattanooga Audubon Society by Robert J. Maclellan for preservation as a wildlife refuge. Lots To Do! Maclellan Island’s 1.5 miles of trails offer a peaceful setting for hiking, bird watching, or just a relaxing afternoon by the water. A Great-blue Heron rookery can be seen at the island’s upper end and Osprey nesting platforms have been constructed at either of the island’s points. A campsite is available for overnight reservation and picnic tables are present for day-use visitors as well. Also of interest is the presence of a rain shadow desert underneath the Veteran’s Bridge. The bridge’s construction in 1982 has left behind a unique plant and animal community that survives in the absence of direct sunlight or rainfall. How To Get There? Click the link at top for more information about accessing Maclellan Island.